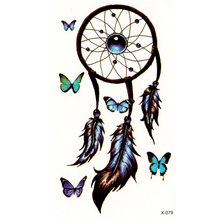 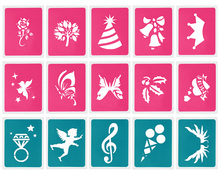 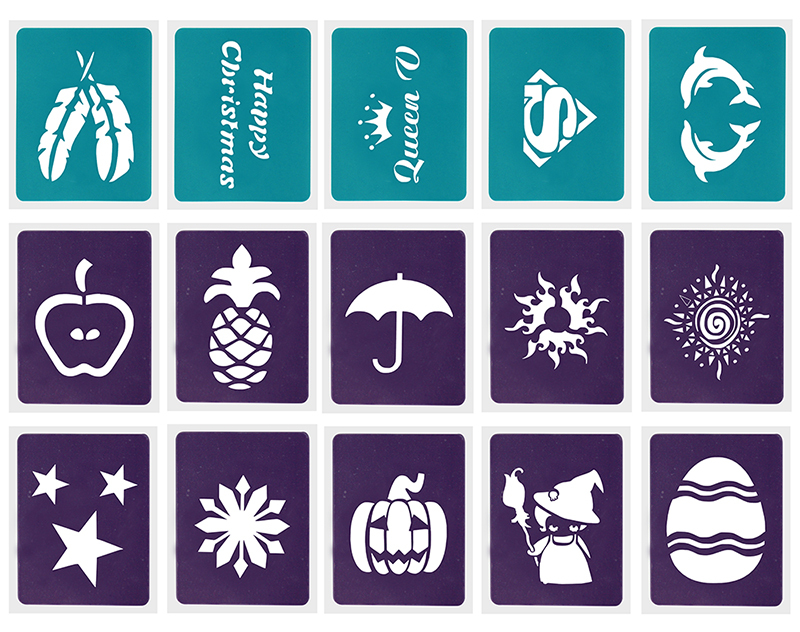 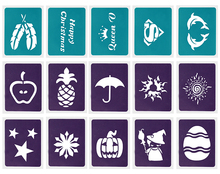 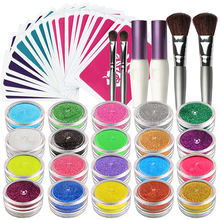 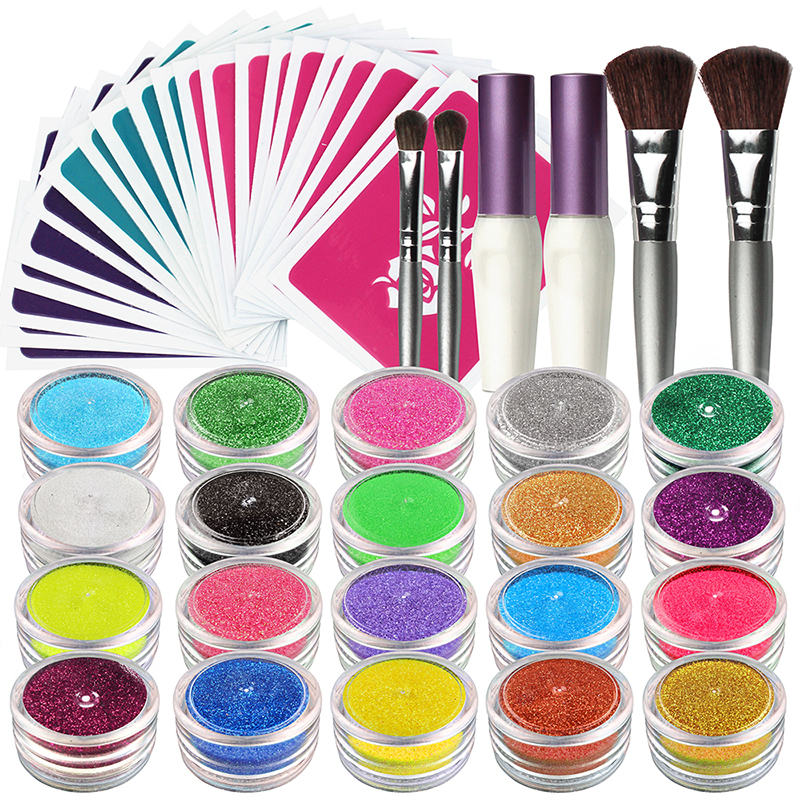 This is a set of temporary tattoo kit with 20 colours which can give you the most fashionable tattoo style. Shimmer Glitter Tattoos make it easy to create professional looking tattoos in just a few simple steps! 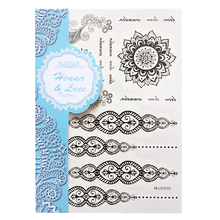 Simply press on the stencil, brush on the adhesive, remove the stencil, and brush on glitter- now marvel at your beautiful art work. 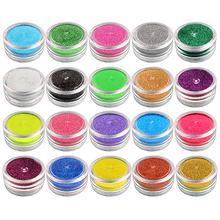 You can use Shimmer Glitter Tattoos anywhere…arms, back, face, really anywhere! 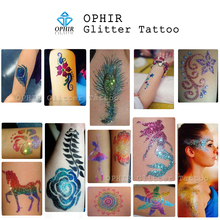 Shimmer Glitter Tattoos are water proof and last up to 3-5 days. Shimmer body art is perfect for parties, sleepovers, sporting events, or just for something fun to do. 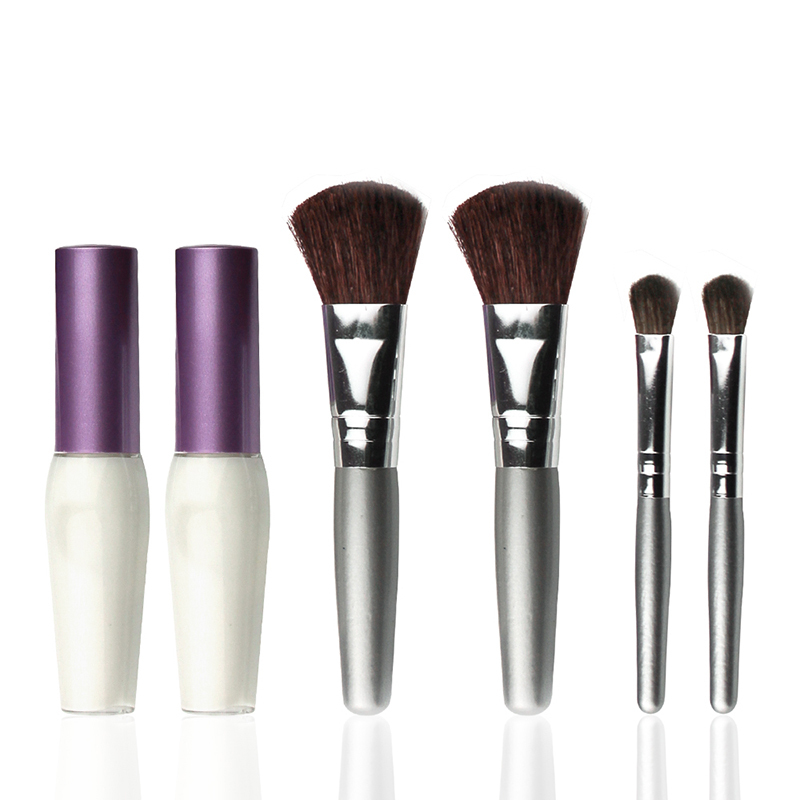 Shimmer removes easily with baby oil. 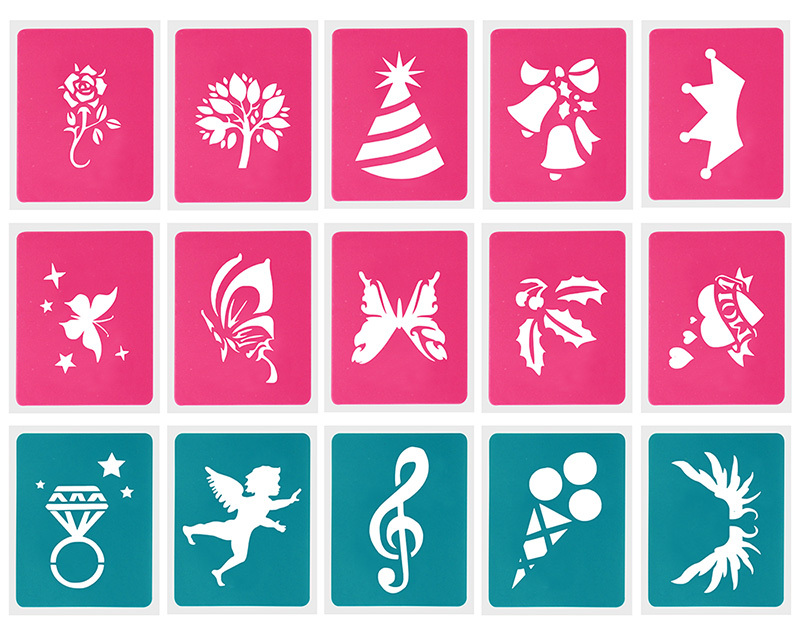 The shape of the stencils will be random. 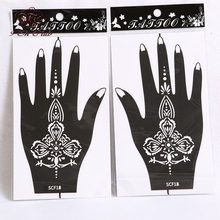 If you use it for nail art, you need to provide the glue nail yourself, as this kind of glue only for body tattoo.